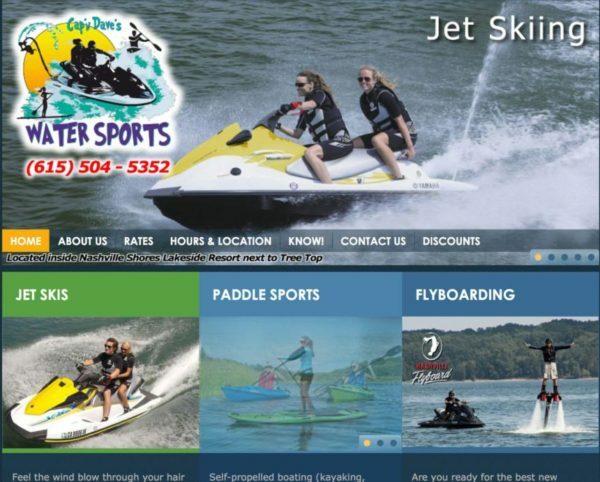 FlyBoard Rentals Percy Priest lake. 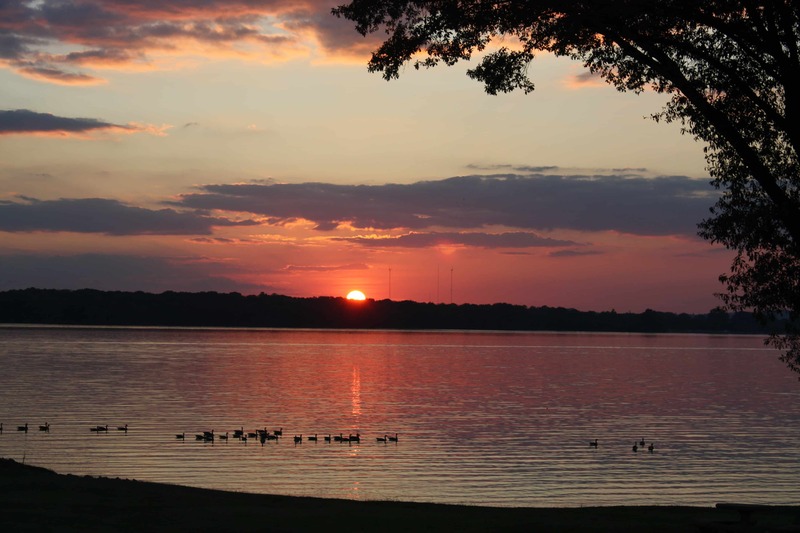 Best Outdoor Adventure in Nashville TN at Percy Priest Lake in Nashville Shores. Nashville FlyBoard blows the competition out of the water! We Guarantee You’ll Fly! Online Schedule for 2019 Coming Soon! 30 Minutes Each plus Intro: Includes FlyBoard®, Jet Ski, Certified Instructor, Personalized Instruction For Each Person, Fuel & All Safety Gear! Choose the GoPro add-on for $30, you’ll want a keepsake! The Experience: After a short intro lesson, you’ll feel an exhilarating rush of adrenaline as the jet power propels you through the water, and lifts you slightly above the surface. You’ll quickly and intuitively begin to maneuver the FlyBoard and be soaring above the water in no time! Each rider gets individual, personalized instruction to keep you going faster, and higher, as your skill level grows. All riders must meet the age & weight requirements of 13 years old, and 100-300 lbs. Please read our terms & conditions. By Appointment Only. Call For Same Day Availability & Group Booking Requests. Nashville FlyBoard offers some of the lowest rates in the country! New Low Prices in 2019! 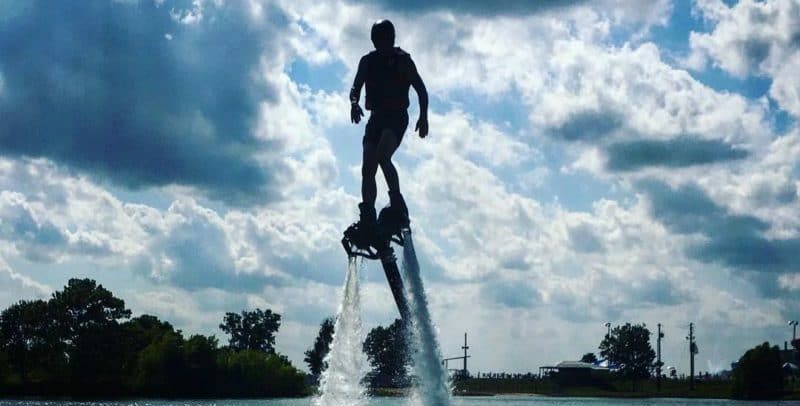 30 Minute FlyBoard Session Only $79 – Limited Time Only! Ask about Military Discounts! Follow us on Social Media for Student Discount Codes, Contests & More ways to Fly for less! 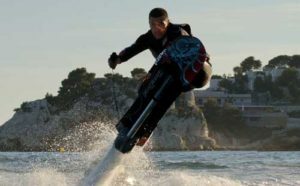 Group rates vary by the number of FlyBoards, Jet Skis & Instructors (Units) required, number of people in your group & the location of your event. 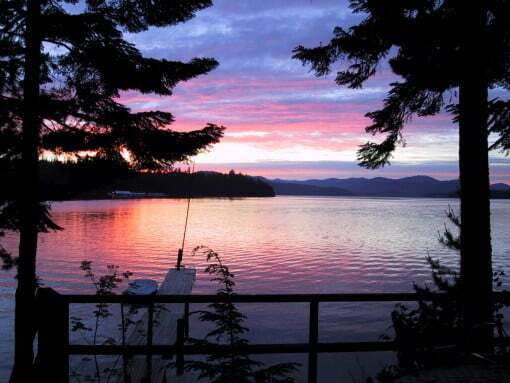 Hold your event at our private lakeside location, or we’ll come to you at your favorite lake! Group rentals over 8-10 people will include 2-3 Units, allowing more people to fly at the same time. Call (615) 580-9030 to schedule groups over 4 & for help planning your event. Try the new Jetpack by ZR®! A very different ride from the FlyBoard. You’ll learn to maneuver the JetPack in the water, and then we’ll take you up to soaring heights! We’ll give you a short intro lesson, then you’ll be strapped in by Zapata’s state of the art five point harness. Our Certified Instructors will teach you everything you need to know to get soaring on the JetPack. Includes a 10-15 minute intro, 30 full minutes of flight time, Certified Instructor, Jet Ski, Fuel and all Safety Gear. The Hoverboard is best described as a blend of Surfing, Snowboarding, and FlyBoarding – but the thrill is incomparable! You’ll learn to power surf through the water, then lift your lead leg for an intense thrill and rush at radical speeds! This is a more extreme experience than the FlyBoard®, and a sports background will help you out on this one. 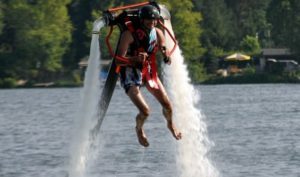 FlyBoard Combo Rental with the JetPack or Hoverboard by ZR®! Includes 30 minutes on the FlyBoard® & choice of JetPack or Hoverboard. Call (615) 580-9030 to Book Groups or Events for Any Location. Experience FlyBoard® with a group or party at the lake of your choice! Add the JetPack, or Hoverboard by ZR® for our combo rental packages! Take a break from Broadway where you’ll still have maximum entertainment, and time to regroup with an awesome day on the lake! Celebrate your Bach Party, Birthdays, Reunions, Corporate Events or any other event at our Private dock inside Nashville Shores, just 20 minutes from downtown. Alcohol is permitted in the area, but must be in cups, and kept in very low key. NO DRINKING prior to your flight. If you are intoxicated, you will not be permitted to fly, and will not receive a refund (We’re not kidding). Additional Units (FlyBoard / Jet Ski / Instructor) may be added to any group, which will allow your group to fly 2 Flyboards at once. Additional units for smaller groups will require an added fee. Choose Your Location, or make a special request. 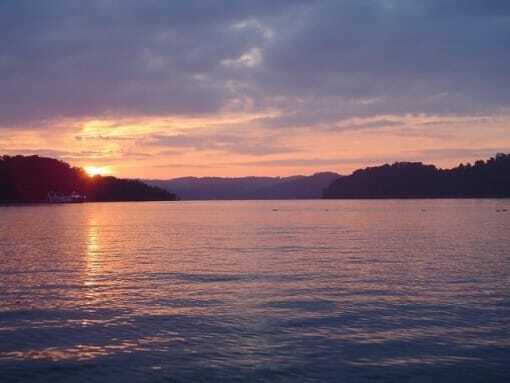 Nashville FlyBoard serves all lakes in the Mid TN & Upper Cumberland Region. Our pros are equipped to come to you at any of these locations with all the equipment your group will need for a day of FlyBoarding. We’ll meet you at your boat, lake house, or private property. You don’t need a boat, we can meet you at recreational areas on all of the lakes we serve! Some locations will require a minimum half to full day rental. Combo Rental Packages are available for groups & events. This will allow your group to try the FlyBoard and choice of the JetPack or Hoverboard by ZR®. Combo Rental packages with the JetPack require a full day rental. Groups may add the Hoverboard for half day packages. GoPro Package – Our crew will capture everyone in your group on our helmet cams! We’ll transfer your video to a Flash Drive, and leave it with you at the end of the day. Click Here for more information on our safety requirements & Cancellation Policy, including Severe Weather. Please be at the meeting point at least 10 minutes prior to your scheduled time. Please Do Not Be Late! If you arrive 10 minutes after your scheduled flight time, you may be required to forfeit your flight. You will not be refunded for any lost flight time. What you should bring: Swim attire – Everyone (male and female) is should wear tight fitting shorts during the flight. Please leave all valuables in your car, we only have room for your keys on the Jet Ski. Riders must be 13 years of age. All minors must have a legal guardian present, and remain on site during the activity. Please do not book children under 13. If you bring a minor who’s age is questionable, please bring proof or risk being turned away. Riders must weigh at least 100lbs, 300lbs maximum weight. If you are slightly over our maximum weight, please let us know ahead of time so we can make proper arrangements. – Riders will be required to wear a helmet and life jacket during the flight. We provide sizes from S to XL. If you cannot fit into these, please bring your own, or let us know ahead of time. Call (615) 580-9030 with any questions. – Riders will not be permitted to ride if they are intoxicated or impaired in any way. Everyone must sign a waiver agreeing to this. – You MUST be able to swim! You will not be refunded if you schedule an appointment and can’t swim. – Participants will be given instructions on what to do, and more importantly, what NOT to do. If you act in a manner that would endanger yourself, our Instructors or anyone else, the ride will end and you will be asked to leave with no a refund. We fly rain or shine! We do not fly in lightning, or high winds that will make it too dangerous. In the case of severe weather, please make sure you can be reached at the contact number provided on your reservation. We will make every attempt to reach you if there is any reason we will be unable to fly. If weather does not permit us to perform as agreed, we have several options available to you. You may receive a credit to return on a different day and reschedule your session, or receive a partial refund for time lost. If you have concerns about the weather, please call us that morning at (615) 580-9030, or leave the best information for us to reach you for instructions. Please leave a message if we cannot pick up. The regional storm forecast is highly inaccurate due to the valley that breaks up most storms heading in our direction. In our years of experience, 9 times out of 10, storms predicted days or weeks in advance will not occur, and therefore, will not prevent us from flying. 48 Hour Cancellation is required for all Single or Double Sessions. No refunds will be issued within 48 hours of scheduled flight time, unless due to severe weather (lightning, extremely high winds), or failure on Nashville FlyBoard’s part to perform as agreed. You must speak to someone verbally, or receive an email to confirm that your session has been cancelled within 48 hours of scheduled event. Cancellations made within the 48 hour period will be fully refunded minus a 20% Cancellation fee. 30 Day Cancellation policy for any event. Zero refunds will be issued within 30 days of the event unless due to severe weather (see below). In any event Nashville FlyBoard fails to perform as agreed, you will be fully refunded. Severe Weather: We fly rain or shine! We do not fly in lightning or dangerously high winds. 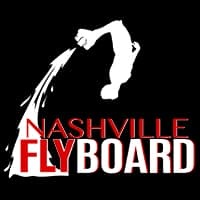 If Nashville FlyBoard is unable to operate due to severe weather, you will be given a choice to reschedule, or receive a credit as a group or individually. If you are not local to the area to accept the credit offered, you may choose to receive a partial refund if we were not able to operate. We will always do our best to work with you on time and weather issues. Lakeside Adventure Park Inside Nashville Shores! If you’re in Nashville, come visit us at our private lakeside Flyboard haven inside Nashville Shores at Cap’n Dave’s Water Sports. 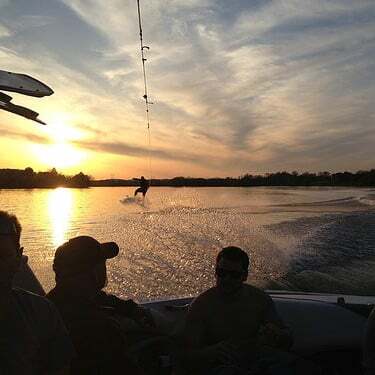 Just 15 minutes from downtown Nashville, and 5 minutes from the airport, it’s a water sports lover’s dream! Bring the whole family ages 13 & up to Nashville FlyBoard where you can rent any Flyboard, Hoverboard, or JetPack by ZR®! Go next door to Cap’n Dave’s where you can rent Waverunners, SUP’s, Kayaks, and more! Follow Nashville Flyboard on Facebook, Instagram & Twitter to learn about our special events at other lakes too! If you do not learn to Flyboard within your 30 minute session, you don’t pay! Most people are Flyboarding in the first five minutes after learning the basics. Terms & Conditions Apply – you must know how to swim! Excluded: people with recent surgeries, knee or ankle problems, other health problems, inability to swim, fear of water or heights, English as a second language prevents understanding of lesson.